There's amazing news surrounding the several of the United States of America's largest social media platforms, Google, Facebook, and Twitter especially, after several Iranian spies with the backing of the Iran government have been located and removed after they've infiltrated the companies and used their platforms to spread disinformation against Israel and the United States of America. The Alphabet Inc., and Google search engine giant, which has become one of if not the world's most powerful internet powerhouses in software, operating systems, platforms, and content distribution as well as online advertising- today announced they, along with several other platforms, including that of Facebook and Twitter, have taken measures to remove the influence of the rogue Iran governance from their respective internet platforms through the use of disinformation spies against Israel and the United States, among others. Mark Zuckerberg, the often-scrutinized Facebook CEO, said that the social media giant acted and brought down a coordinated campaign which was linked to sources that were previously identified as originating from a Russian military intelligence operation, as well as another threat from Iran connected to its state-controlled media prowess, showing just how much effort is going into these attacks, and that Iran is no doubt processing the potential to counter America's largest tech companies. According to Google, there were at least 58 high-profile accounts removed as part of today's international developments surrounding the Iranian regime's efforts to utilize American-based services and platforms belonging to Google, and several other influential companies, which specifically attempted to “spread disinformation,” and engaged in a calculative campaign of “sowing discord” among the general public, albeit there seems to be a legitimate “information war” occurring from nations sparring for economic and political dominance in the Middle East and globally. In total, there were a whopping 39 channels on YouTube used for this premise, and a similarly devious effort on Google’s Blogger service from at least six others, including 13 total profiles on the lesser-used, if not failed Google+ platform, where Google had once hoped to compete with the likes of Facebook or MySpace, only to go the direction of the latter MySpace into obscurity long prior to ever achieving much of a relevant standing in the eyes of the United States of America. 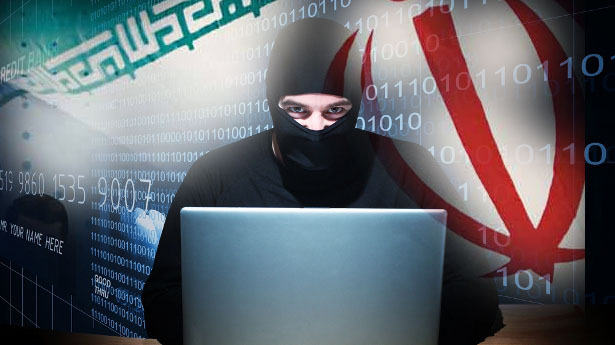 Google claims that each of those accounts could be tied back to the Islamic Republic of Iran Broadcasting, or the<a href="http://live.irib.ir"> IRIB</a>, which was able to achieve a total of 13,466 on all of the YouTube channels combined, leaving many to ask if the alleged campaign from the Iranians were very successful on YouTube, and the speculative answers suggesting simply that, no, they weren't, based upon such limited reach to the general public. In an<a href="https://blog.google/technology/safety-security/update-state-sponsored-activity/"> Official Google Press Release </a>issued about the IRIB and the Iranian effort to subvert the opinion of the American people towards the promotion, or acceptance of ideas important to the mission of Iranian espionage and infiltration, Google argues that they work in unison with FireEye, a leading cybersecurity group in international online activities, that works to monitor both pro-Democracy governments, and their opposition in Islamic or another totalitarian as well as dictatorial world bodies. <a href="https://www.fireeye.com/blog/threat-research/2018/08/suspected-iranian-influence-operation.html">FireEye also released its own statement</a>, in which the amazing facts they were able to uncover was made public today, and the organization “identified a suspected influence operation that appears to originate from Iran aimed at audiences in the U.S., U.K., Latin America, and the Middle East,” according to FireEye. One must take the time to thank FireEye for their work here, and acknowledge that they are, in fact, keeping America and the free world safe, regardless of your views surrounding Google’s controversial censorship, that's a debate for another time. Right now, let's take a closer look at the threats FireEye uncovered, and sit in awe for a moment of the modern cyber warfare tactics we face on Earth and especially in America through efforts of disinformation and being led astray by radical Islamic influences, and foreign governments, such as that of Tehran’s hard-core and extremist propaganda. Essentially, this shows that the companies which Google leans in favor of, are very much not in favor of the Iranian Nuclear Deal, such as FireEye noting the dangers of the Obama Administration’s policies, especially the one-sided deal which gave Iran the potential ability to destroy Israel or their opposition with a path towards Nuclear weapons, despite it had not supposed to have been this way, or at least based on the now-proven lies of Barack Obama. This is an amazing occurrence, not solely that the Iranians have actually been able to get into the potential prominence the United States of America's top social media networks, but their ability to have been caught during the process of doing so. It brings about a series of important questions as to how much the world's cybersecurity companies are able to understand during these important times, including that the 45th President of the United States of America has made it a priority for counter-espionage agencies to reassert their power structure towards foreign threats, and no longer just that of spying on domestic citizens as has occurred since the terrible September 11th attacks. Google, who has taken note of these threats and acted upon them immediately- leans towards the same ideals of protecting their assets as the United States of America would be to countering foreign propaganda. That's even less of a total number of views in English than the overall views of the foreign-language videos, meaning that not many Americans ever saw these specific videos. It does bring about questions of who would have seen the specific videos in the first place, leading most to assume that there is a very real potential for people who are tied to Iranian-sleeper cells within the United States of America to have been considered as having seen these specific videos. We do know, thanks to a<a href="https://www.politico.com/interactives/2017/obama-hezbollah-drug-trafficking-investigation/"> Politico expose titled, “The secret backstory of how Obama let Hezbollah off the hook”</a> which was released during 2017, Barack Obama not only knew that Hezbollah cells inside the United States of America were engaged in money laundering and drug trafficking inside the nation, but told the intelligence community to stand down, and allow it to continue, to appease Iran in discussions and negotiations leading up to the Iranian Nuclear Deal. Yes, that's scary, but it not only happened, it was known about inside the intelligence agencies, and the White House, and raised questions as to whether those same operatives are still here or evading our own counterintelligence. I would venture towards suggesting that those Americans who did click these videos are being watched themselves now, and if they are in fact connected to Iran, they'll be removed from the country as a result. We also know Twitter has confirmed that 284 accounts have been removed from their platforms as a result, also mostly originating in Iran, in a highly coordinated effort- to spread disinformation through fictitious publications. Some of the names of those publications were simple and went by titles such as, "US Journal," and even "Critics Chronicle," which each had claimed were independent news websites, based in California, and Birmingham, England, although neither were legitimate. FireEye also has covered several previous attacks uncovering the fraudulent efforts of Iran, where falsified government documents were used to push a narrative, and a series of “malicious Microsoft Office attachments that we observed appear to have been specially crafted for individuals in four countries: Turkey, Pakistan, Tajikistan and India,” in an effort to distribute malicious macro-based documents to individuals in Asia and the Middle East. “There's often a lot of rhetoric in the press and in the security community around threats to the utility industry, and risk exposure surrounding critical infrastructure. We've determined that the utilities industry (power, water, waste) has been, and likely will continue to be, a target for cyber espionage,” FireEye stated. Nathaniel Gleicher, Head of Cybersecurity Policy at Facebook, issued his own<a href="https://newsroom.fb.com/news/2018/08/more-coordinated-inauthentic-behavior/"> statement in a Facebook blog post</a> where he announced the threats on their platform, and how the company removed them. “We’ve removed 652 Pages, groups and accounts for coordinated inauthentic behavior that originated in Iran and targeted people across multiple internet services in the Middle East, Latin America, UK, and the US. FireEye, a cybersecurity firm, gave us a tip in July about “Liberty Front Press,” a network of Facebook Pages as well as accounts on other online services. They’ve published an initial analysis and will release a full report of their findings soon. We wanted to take this opportunity to thank them for their work,” Gleicher stated. Most shocking is the potential for targeting and reach in Facebook’s giant subdivision of the internet. “About 155,000 accounts followed at least one of these Pages, 2,300 accounts joined at least one of these groups, and more than 48,000 accounts followed at least one of these Instagram accounts,” Facebook said of the efforts. That's a major reach for disinformation, if not a major danger if utilized correctly. So far, America's infrastructure has not seen any major attacks but had a modern war with a powerful nation occur, whether it be India, Iran, China, North Korea, or Pakistan, among others, this would be the normal expectations of the United States of America's government. This clever, and highly skilled type of attack is a bit more complex than the simple disinformation, but it underscores a more deeply rooted cyber opportunity for Iran to continue to target the world, especially the citizens of nations such as the United States of America. Everybody should "remove" Google, Facebook, and Twitter. If one cannot live without this evil at least feed them garbage data by browsing BS sites that you have zero interest in, posting and tagging random crap and twatter/fagbook users. If the data they scrape from each and every user is crap the potential customers should loose interest. If you have Gargle set as your home page switch it to Duckduckgo and search from there. Nothing is free, your just paying with your privacy! !